Bioethics at a glance CRISP clinical trials risks were detected by two scientifics reports. Editing cells’ genomes with CRISPR-Cas9 might increase the risk that the altered cells, intended to treat disease, will trigger cancer, two studies published on Monday warn [2018, Jun 11]— a potential game-changer for the companies developing CRISPR-based therapies. (Begley, STATS, 2018/06/11). Collectively, CRISPR Therapeutics (CRSP), Editas Medicine (EDIT), and Intellia Therapeutics (NTLA) lost nearly $500 million in value Monday after these two freshly published papers warned that gene-edited cells could be breeding grounds for cancer” (Garde, STATS, 2018/06/11). 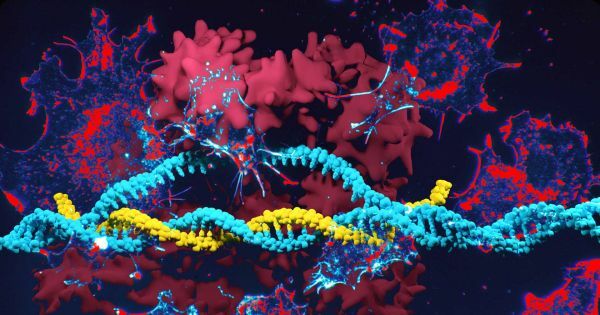 The studies, published in Nature Medicine (see HERE and HERE ), reported an unexpected result: When CRISPR-Cas9 cuts DNA, a repair mechanism is activated, which involves the action of a gene called p53 – a tumor suppressor gene, that its activity stops the formation of tumors. If a person inherits only one functional copy of the p53. The problem is that p53 acts against the correction made by CRISPR, either killing the cell or acting on the corrected DNA, an effect that has been pointed out by the researchers as the cause of the inefficiency of CRISPR seen in different experiences. 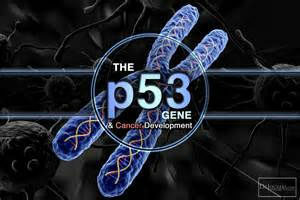 Then, when cells were successfully edited and survived, it was found that it was due to a dysfunction of p53, which is associated with cancer. This discovery does not imply that this effect will occur in all cases of genetic editing or in all cell types, but, as one of the articles concludes, as “therapies using genome-edited cells move into the clinic, it will be critical to ensure that patient cells have a functional P53 before and after engineering” (Haapaniemi E, Botla S, Persson J, Schmierer B and Taipale J. Nature Medicine, 2018, Jun 11. doi: 10.1038/s41591-018-0049-z). Indeed, it seems that there is still a long way to go in preclinical studies with CRISPR before its application on humans can be said to be safe. This is no surprise given the complexity of human genome (see Human genome “grammar” is extremely complex. Are we prepared for the genetics revolution we are living? HERE).